The classes have now finished for the Easter break at Linkage and Bedminster as of today 23/03/18. We will be resuming on Thursday 12/04/18. We will be continuing the just started Da Lu Classes on Thursday and will be delving more into Push Hands also. 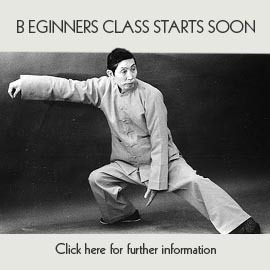 We will also be starting a 10 week review of Yang Cheng-fu’s 10 essential points of Tai Chi in the class to deepen our understanding of what it means to practice correct Tai Chi. The 10 essential points cover all bodily and mental functions required to keep our Tai Chi practice precise at all times. Yang Cheng-fu said by monitoring and maintain the 10 essential points our Tai Chi will never be incorrect in doing so. These 10 points of practice not only keep the body dynamic correct but the mental aspects too and therefore can open up the internal must quicker with relatively short practice. These essential points also come down through the lineage of Cheng Man-ching to Dr Chi Chiang-tao and through to Alan Peck. Enjoy your breaks and practice well and remember always…….to relax.